On March 19, 2018, Toyota Motor Korea hosted a photo session of its minivan 'New Sienna' at the Toyota Gangnam Showroom in Gangnam-gu, Seoul. New Sienna, the latest model of Sienna launched in Korea in November 2011 at first, is a model with upgraded exterior design and safety equipment to the convenience and utility of the existing Sienna model. 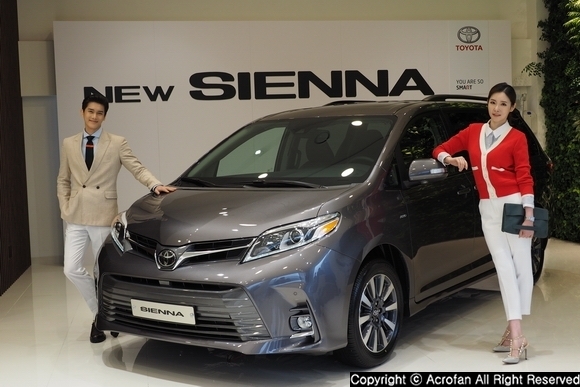 ▲ New Sienna’s photo session of Toyota Korea was held. 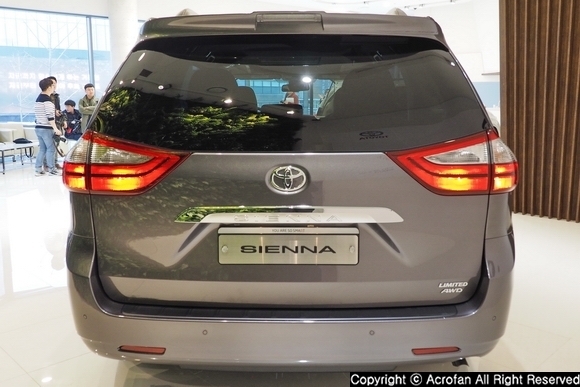 The exterior of 'New Sienna' has a large trapezoidal radiator grille under the design concept of 'Bold & Modern' and a lower bumper spoiler of the front end realizing a three-dimensional appearance and a low-centered wide stance. 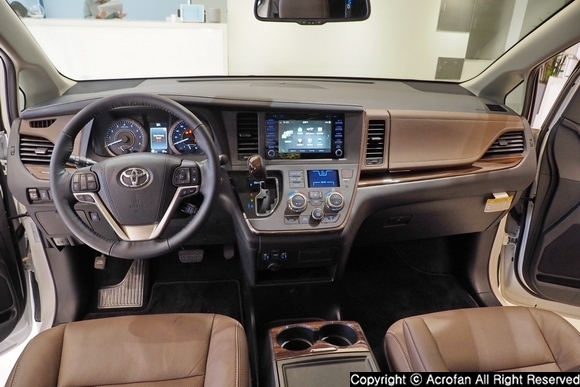 So, it emphasizes ‘Keen Look,’ which is Toyota’s family look, and a more modern appearance. 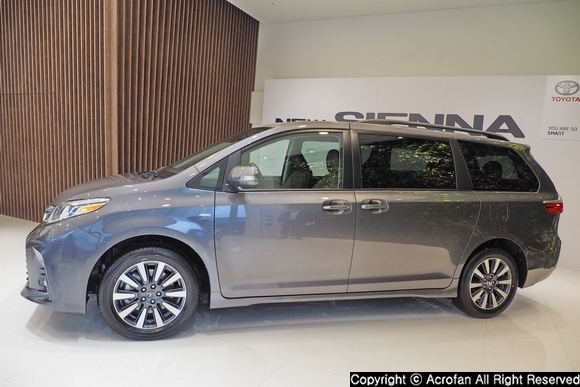 The combination of 301-horsepower V6 3.5-liter engine and the 8-speed automatic transmission of 'New Sienna' achieved powerful and fuel-efficient performance in all driving situations. In particular, since the 4-wheel drive model is equipped with an active torque control system, a stable handling with excellent downward force is achieved through proper allocation of torque to both front and rear wheel. It is also equipped with run-flat tires, which can travel safely at a certain distance even during tire puncture. In addition, Toyota Safety Sense (TSS), which consists of four safety precautions to reduce the risk of accidents, including Lane Departure Alert (LDA), Dynamic Radar Cruise Control (DRCC), Pre-Collision System (PCS) and Automatic High Beam (AHB) was newly applied, and safety performance was further improved by adding a Hill Start Assist Control (HAC). 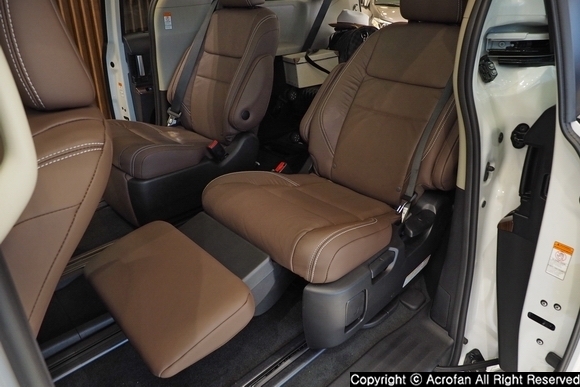 In addition, the best-in-class 8 SRS airbags with the seat cushion airbag of a passenger seat, Blind Spot Monitor system (BSM), and Rear Cross-Traffic Alert system (RCTA) are provided as standard features. Through an application of a new multimedia system, intuitive screen control, USB video file playback, and a mirror cast will be provided. In addition, there are four USB charging ports, allowing multiple users to charge multimedia devices at the same time. ▲ The body looks longer and lower, resulting in a more stable image. 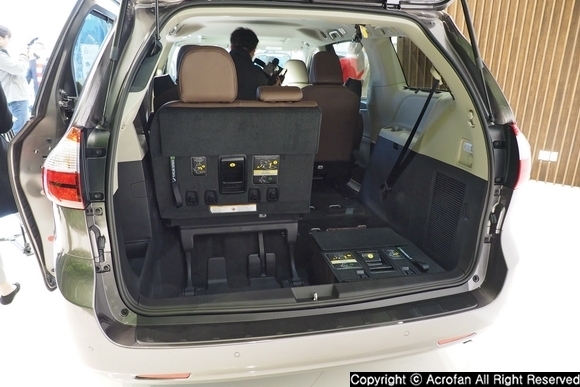 ▲ The back of the vehicle has enhanced the stability of driving with various devices along with a sophisticated image. 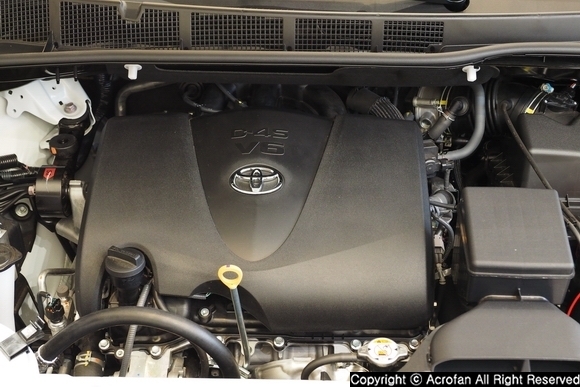 ▲ 301 horsepower V6 3.5L engine is mounted on the vehicle. ▲ The interior enhances user convenience and gives a luxurious feel by applying a satin chrome. ▲ A two-row ottoman seat is applied with a leg supporter. ▲ As a three-row seat is divided into 6:4, various stacking space can be created, and the seat can be easily folded and unfolded with one button.